The story of Mary Queen of Scots’ rise when she arrives in France at 15, with her three best friends and betrothed to Prince Francis. The secret history of survival at French Court amidst fierce foes, dark forces, and a world of sexual intrigue. 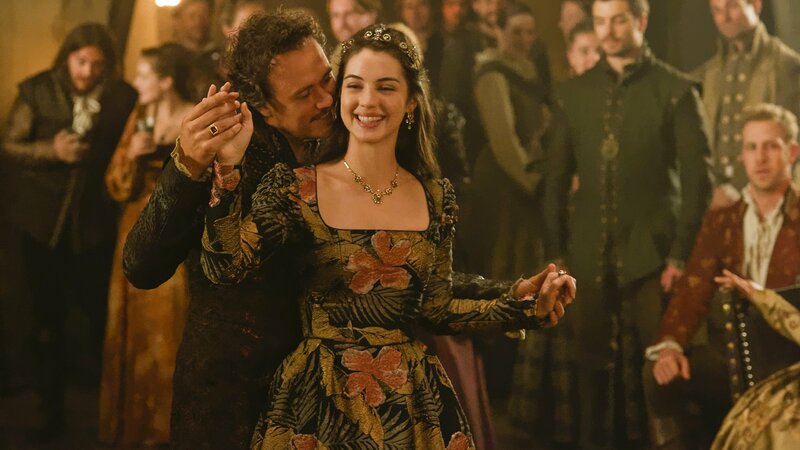 Teenage Mary Stuart arrives in France to formalize her arranged engagement to Prince Francis. Queen Catherine tries to silence those who know about her plot. Mary asks King Henry for help when Scotland's borders are threatened. Mary must decide if she's willing to lie, causing a mans death, just so she can avoid being married. One of Francis' former lovers arrives at the castle; Aylee is blackmailed into spying on Mary. An attempt at scaring Mary causes Queen Catherine to take drastic measures. Francis and Mary must rely on each other when the castle is taken hostage. A prophecy causes Mary to make a decision that changes her relationship with Francis. Bash and Mary are captured; Catherine becomes even more determined to destroy Mary. Queen Catherine comes under suspicion when a plot to murder Bash goes awry. Queen Catherine is accused of adultery and treason; the truth about the castle ghost is revealed. Mary and Bash try to help when the younger children of Queen Catherine and King Henry are kidnapped. Mary must consider her nation and her heart as a forced marriage looms. Mary comes back from her honeymoon suspicious of Lola's unusual behavior. Kenna fears for her safety after another violent incident with King Henry. Francis reluctantly helps Bash uncover the threat in the woods, resulting in a dangerous situation. Mary discovers that her mother orchestrated a secret clause in her marriage contract. Mary's brother wants her to return to Scotland; Lola is suspicious of Lord Julien's motives. Mary's uncle delivers bad news about her mother; Bash and Kenna begin to trust each other. Mary seeks a mercenary's help and comes to a realization; Francis finds a new ally. Catherine and Mary form an uneasy alliance as they decide how to deal with King Henry. Francis and Mary take action as the king's madness reaches a fevered pitch.